Intellian has announced that Carnival has installed the company’s v240MT next-generation, tri-band and multi-orbit 2.4 meter antennas on-board several of their cruise ships, thereby enhancing the connectivity experience for passengers and crew. In the cruise sector, there is a real demand for innovative antenna technologies that can enable and support intense data-rich applications. In a world’s first, Intellian’s antennas will provide the Carnival cruise ships with seamless, high-speed connectivity that can truly power the cruise vessel’s connectivity demands. Intellian’s v240MT (2.4 meter) antennas, combined with the new Intelligent Mediator Solution, are specifically designed to deliver data rates exceeding 1 Gbps. This extraordinary level of performance, essentially giving passengers the same connectivity speeds they enjoy at home, has previously never been realized at sea, according to the company. 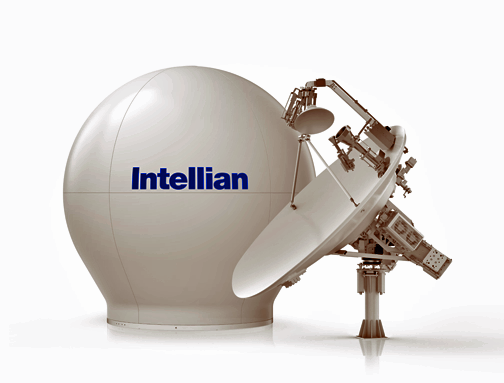 Intellian’s 2.4 meter class multi-band, multi-orbit MEO and GEO broadband antennas unlock access to virtually any satellite constellation within seconds. These frequency-agnostic and orbit-agnostic capabilities, enabled by Intellian’s innovative antennas and Intelligent Mediator Solution, ensure that the equipment’s capabilities are future-proof to customers seeking the fastest and most reliable broadband connectivity. The new Intellian v240M solution provides the unique capability of switching between different satellite frequency bands (C-, Ku-, and Ka-band) as needed without any user intervention. This, then, enables the operator to select the best solution for the geographic location or for flexibility in achieving the highest throughput on virtually any satellite. This solution also brings into play a redundant, resilient system that supports the current satellite networks, all the while ensuring capability for future networks and operational areas. The new antennas track GEO satellites and have the capability to track MEO moving satellites. This solution enables operation on virtually any satellite network and ensures compatibility for the future as new satellite constellations are launched. To manage the switching between GEO and MEO, Intellian has introduced the all-new Intelligent Mediator Solution. This incredibly sophisticated system allows for automatic switching between networks, satellites and, most importantly, provides support for Dual Data Centers. All these systems are connected on-board using Intellian Fiber Optic connections, meaning there is no potential for signal loss over the extended cable runs found on large cruise vessels. This is also much easier to retrofit than the heavier coax cables often used. Supporting Dual Data Centers on the Carnival ships ensures uninterrupted connectivity. The identical mirrored systems, including a full complement of antenna controllers, Intelligent Mediators and satellite modems, instant changeover is completely automated with no manual intervention, an important factor in crew safety and vessel operations. The new Intelligent Mediator handles switching from each satellite frequency band, as well as different orbits. If one antenna becomes blocked by a part of the ship, the system will automatically select the next best solution and switch without any loss of connection for the guests and crew on-board. All of this happens automatically, without any user intervention, this ensures no loss of data and no dropped calls. Reza Rasoulian, Vice President of Global Connectivity at Carnival, commented that even when enjoying a cruise vacation experience, all should expect to experience the same levels of connectivity enjoyed on land. Carnival has set the industry standard for what can be achieved today in delivering the ultimate guest connectivity experience — the company is pleased to have been able to access the technical and engineering prowess of Intellian, combined with that company's strong focus on innovation in providing this solution. Intellian was able to create the fastest and most flexible system that will provide a unique travel experience and deliver memorable vacations for Carnival guests, enable the Carnival team members to communicate with friends and family back home as well as power the ships' on-board systems. Carnival has collaborated closely with Intellian over the past three years to ensure that the solution will provide the company with the ability and flexibility to attain bandwidth in a more efficient and ubiquitous manner, which is a critical component in our end to end connectivity strategy. This system is the new class leading standard, supporting the on-board networks that provide unprecedented levels of connectivity to Carnival guests across all of the firm's brands. Eric Sung, CEO, Intellian, added that delivering reliable network services demands dependable, high-speed and seamless coverage across the world's oceans — historically, that has been a challenge to meet the users ever increasing demands for data. The Intellian Multi-Orbit, Tri-Band solution, combined with the Intelligent Mediator, represents a step-change in driving the highest standards in cruise vacation experiences. Carnival is leading the way in driving the next revolution in the global maritime industry, because it understands the power of digital technology to achieve advantages that reach way beyond improved operational efficiencies. Through partnering with forward-thinking industry leaders such as Carnival, Intellian is continually looking to redefine the meaning of intelligent satellite solutions and what these technologies are truly capable of achieving.